He was joined by Air Chief Marshal Sir Stuart Peach, Chairman of the NATO Military Committee, as well as Air Vice-Marshals Gary Waterfall, Richard Knighton, Julian Young and Chris Elliot. Serving personnel and supporters of the Royal Air Force also attended to raise money for the RAF100 Appeal, which benefits four military charities, the RAF Benevolent Fund, the Royal Air Forces Association, the RAF Museum, the RAF Charitable Trust and the Royal Air Force. Guests enjoyed displays from The Queen’s Colour Squadron and The Band of the RAF Regiment. At the end of the event, sponsored by Boeing, a charity auction saw a range of lots auctioned off, including the RAF100 Relay Baton and a special limited-edition Breitling watch. 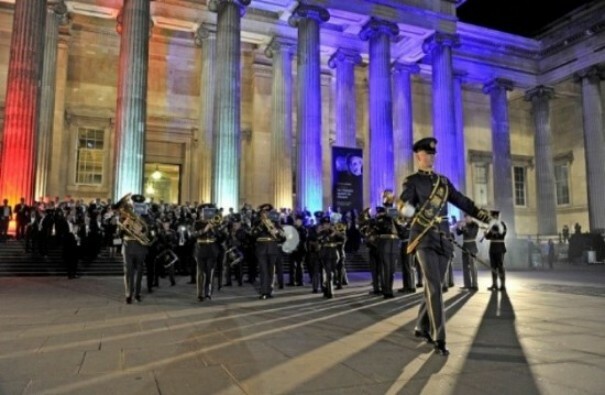 Air Vice-Marshal David Murray, Chief Executive at the RAF Benevolent Fund, said: “What a fantastic evening marking the centenary of the Royal Air Force, the world’s first independent air force. A moment to stop and commemorate with pride those who have served, thank those who serve today and keep inspiring those who might serve in the future.